Galleria Ferrari Collection: Legendary Ferrari 250 Book. This is a rare out-of-print title in near mint condition. 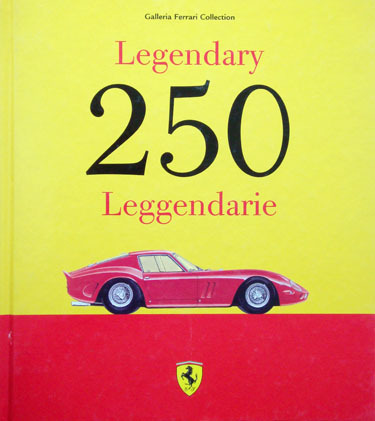 This book documents the Ferrari 250 series. With text in Italian and English. Profusely illustrated with both B&W illustrations and color illustrations. If the Prancing Horse House is today one of the legends in the racing car history, it is maybe due to a specific model which became synonymous of Ferrari: the 250s. Inaugurated in 1952 by a prototype coachbuilt by Vignale, (the 250 S with which Bracco-Rolfo won the Mille Miglia of that year), the famous “250” have been celebrated in a special “Museum” event organized by Galleria Ferrari in Maranello. On that occasion, among the others, have been displayed the elegant granturismo by Pinin Farina, the 250 Tour de France, the 250 Testa Rossa and the 250 GTO. 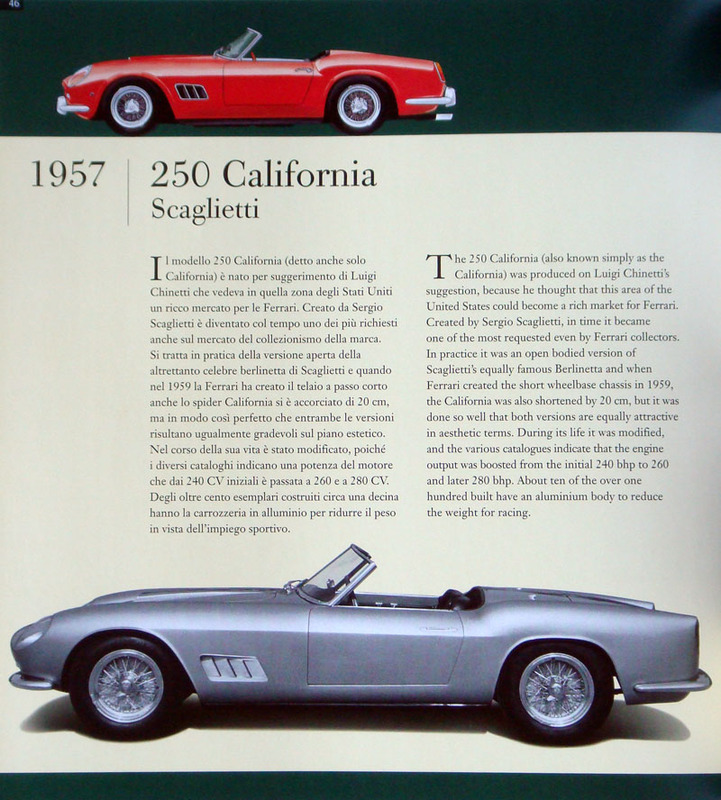 This book, richly illustrated, retraces the sport and technical history of those cars, a sort of catalogue of the event, through brief but precise texts signed by Gianni Rogliatti, one of the most appreciated historian of the Cavallino facts.